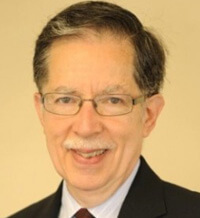 Michael R. Wenger, of Mitchellville, Maryland, teaches about race relations and institutional racism in the Department of Sociology at The George Washington University, and he is a consultant on race relations. In addition, he is the author of his recently-published memoir, My Black Family, My White Privilege: A White Man’s Journey Through the Nation’s Racial Minefield, and he is a co-founder of the Within Our Lifetime Network (www.withinourlifetime.net), a national network of individuals and community-based organizations working to promote racial equity and foster racial healing. Its name reflects the commitment of its members to end racism within our lifetime. Mr. Wenger serves on the Interim Leadership Team for the network. From 1998 until August, 2014, Mr. Wenger was with the Joint Center for Political and Economic Studies, a research and public policy analysis institution focused on issues of race. At the Joint Center Mr. Wenger was the founder and Director of NABRE (Network of Alliances Bridging Race and Ethnicity), a Joint Center initiative that linked more than 200 race relations/racial justice organizations across the country for the purpose of facilitating communication and interaction, both electronic and face to face, among leaders of community-based racial reconciliation activities. The network’s mission was to cultivate and nurture local leaders as they build and sustain alliances that break down and transcend barriers of race and ethnicity in all sectors of civil society and in communities across the country. Mr. Wenger also served the Joint Center as Acting Vice President for Governance and Economic Analysis, Acting Vice President for Communications, Acting Vice President and Director of the Joint Center’s Civic Engagement and Governance Institute, and most recently, as a Senior Fellow. From September 1997 to October 1998, Mr. Wenger served as the Deputy Director for Outreach and Program Development for President Clinton’s Initiative on Race. In this position he was responsible for the development and implementation of programs designed to broaden public support for President Clinton’s vision of One America in the 21st Century–a more just, inclusive and unified America that offers opportunity and fairness for all Americans. Prior to his work with the President’s Initiative on Race, Mr. Wenger served for more than 16 years as the States’ Washington Representative for the Appalachian Regional Commission, a Congressionally-funded agency charged with promoting economic development in the 13-state Appalachian region of the United States. His responsibility in this position was to represent the Governors of the 13 Appalachian states on policy and legislative matters relating to their membership on the Commission. Before coming to Washington, D.C. in 1981, Mr. Wenger held several policy-making positions in the administration of West Virginia Governor John D. Rockefeller IV, including Director of the Governor’s Office of Federal/State Programs, Director of the Governor’s Office of Community Development, Deputy Commissioner of the Department of Welfare and Commissioner of the Department of Employment Security. Prior to that he served as Director of Federal/State Relations for the City of Charleston, WV, under the administration of then-Mayor John G. Hutchinson, and before that, as a community organizer and then Executive Director of the Raleigh County (WV) Community Action Association. He began his career as a journalist and public school teacher in the New York City area. Mr. Wenger’s memoir describes his experiences as a white man from New York City married to an African American woman from rural North Carolina and living in Charleston, WV, integrates his personal experiences with his professional insights, and shares the lessons he has learned about race as a result of his journey. He also is the co-author of Window Pane Stories: Vignettes to Help You Look At and Beyond Your Experiences, a frequent speaker on race relations, and the author of numerous articles on race relations and on rural economic development. Mr. Wenger was born in New York City and educated at Queens College of the City University of New York, where he was a leader in the civil rights struggles of the early 1960s. He is married and has three grown children, four grandchildren, and a great grandchild.